Warlords « Grimoires of Supremacy! ALERT, ALERT! The 6.0 PTR Is Up! The PTR will mimic what the Warlords 6.0 pre-expansion patch will be like. It’ll have the stat squish in effect, but no Draenor just yet. Presumably this means it’ll focus on the pre-expansion questline in the Blasted Lands. Level 90 is still the cap. Garrosh Heirlooms will be a 100% drop in 6.0, but will stop dropping when Warlords go live. The Feat of Strength associated with the Garrosh normal kill will be unobtainable, meaning the Kor’kron War Wolf mount will be unavailable. I mention those last 2 points as a bit of an urgency warning. If you wanna get the Feat of Strength and the mount, then you better do so quickly within the next 3-4 weeks. You still have a while to collect heirlooms, but they will drop more readily! Need a bit of advice on preparing for 6.0, and what is vanishing? Wowhead has a guide for you! We’re entering the home straight, folks. Keep your head up! FYI about the Shadowbolt change: That was done a while back to get spell ratios closer to right. Demo damage still will come back up. We just have to be patient, fellow warlocks! This entry was posted in World of Warcraft and tagged 6.0, Draenor, PTR, Warcraft, Warlords, WoW. A HUGE AMOUNT OF CHANGES FOR US! Shadow Bolt: Deals (52.5% of Spell Power) Shadow damage, down from 74% of SP. @Grusommegeir We found the cause of the discrepancy with Demo; some major bugfixes recently that hugely affected damage. Retuning to fix. @Mumrit @riggnaros @Grusommegeir Yeah. We totally make mistakes sometimes. That was the case with Demo tuning, and we'll fix it. From what I gather and guess, the nerfs made here and in the last build were due to a massive bug that was inflating Demonology’s damage. They discovered the bug AFTER having nerfed it, then fixed it without retuning. I surmise then that the next beta build will have reversions to these Demonology changes, or at least they will be retuned to what they would have been retuned to anyway, rather than remain over-nerfed. If this change sticks? Shadow Bolt is worse than Drain Life at this point. Ain’t that fun? And according to Simcraft, Demonology is worse than A TANK SPEC, and marginally better than A HEALING SPEC. It has to get better. It HAS to. I LAUGH. Because if I didn’t, I’d cry. 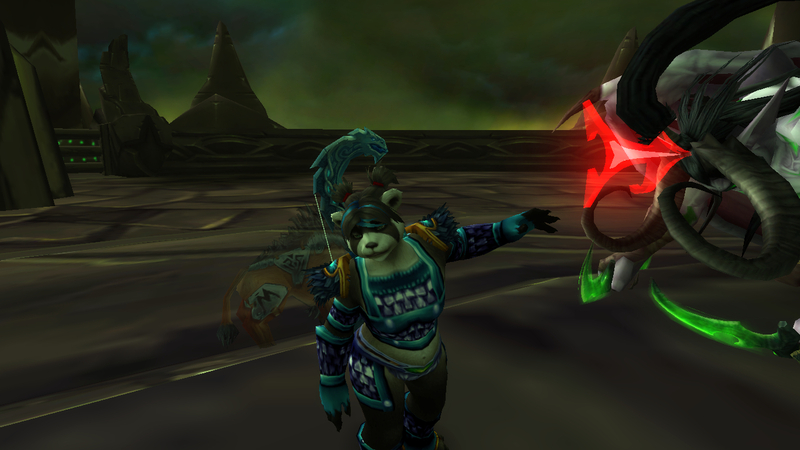 This entry was posted in Warlocks and tagged beta, Draenor, Warcraft, Warlock, Warlords, WoW. So here we have a new beta build, and it’s one of those number-tuning ones! Demonology sees a lot of changes, including a massive general DPS loss of around 33%. Let’s have a look at the changes. It’s no secret Demonology was performing extremely well on beta, but 33% better? Is this the price we pay for being able to do above average in a movement fight? 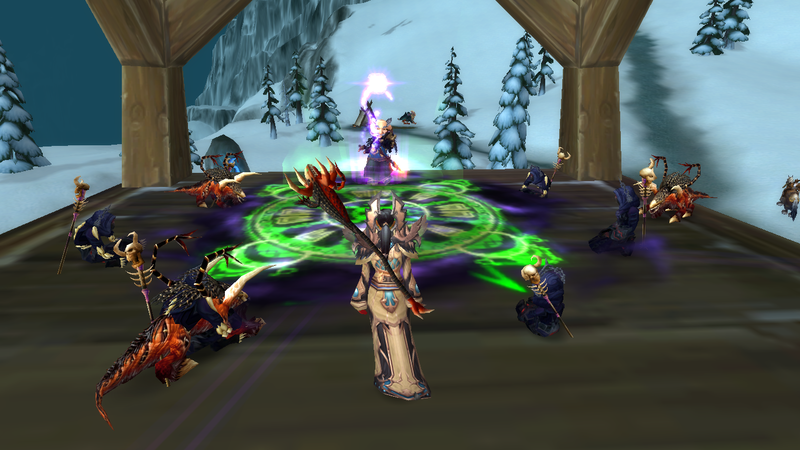 Are Demonology warlocks going to become the new hunters? Fantastic on movement fights, slightly below average otherwise? Haunt: The periodic damage increasing debuff it puts on an enemy now increases you DoT damage by 30%, down from 35%. Drain Soul: Now learnt at level 24, instead of level 42. Nice little quality of life change there, making Affliction’s main filler spell available sooner. Hopefully, the toning down of Haunt means that more power will be shifted back to the individual DoTs? Or perhaps this is just to tone down affliction DPS too. Destruction 2pc: When Immolate deals damage it has a 10% 4% chance to generate a full Burning Ember. Destruction 4pc: When a Burning Ember is filled up, you have a 15% chance to reduce the cast time of Chaos Bolt by 50% and cause Chaos Bolt to consume no Burning Embers when cast chance to cause your next Chaos Bolt to multistrike 3 additional times. Affliction PvP 4pc: After using Demonic Circle: Teleport, you gain 100 1300 Versatility for 10 seconds. Demonology PvP 2pc: When you or your pet are below 20% of maximum health, you gain 100 1300 Versatility. I actually like the Destruction 4-piece change. Sure, speedy Chaos Bolts would be immense fun, but having a single Chaos Bolt effectively hit 4 times (maybe more if a normal Multistrike proc goes off!) will be CRAZY! So. What’s the betting we’ll see some Destruction tuning soon? 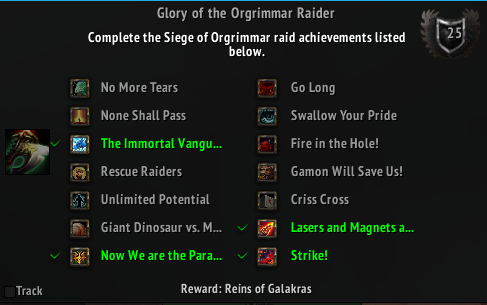 It’s been forever and a day since Siege of Orgrimmar was released. Warlords of Draenor is released in a couple of months. 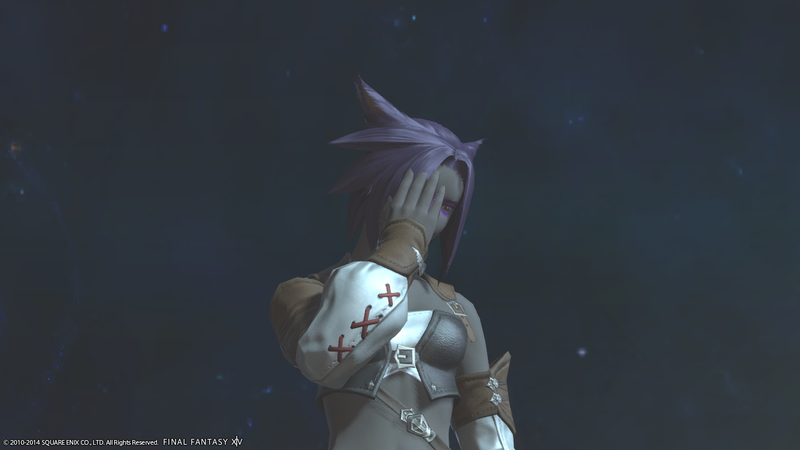 I’m feeling a reduced desire to play, I have to confess, so I took the plunge on Friday and bought Final Fantasy XIV: A Realm Reborn, and I’ve been playing it on and off. Sure, I have a few things to do before Warlords is released (Getting Garrosh heirlooms in particular) and I’ll do them on server reset days, but Raenah the Warlock is moving over for Raenah the Arcanist for the time being! 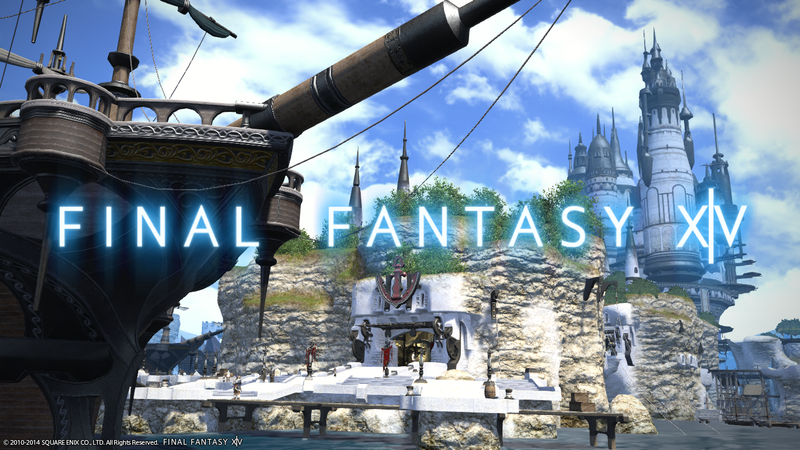 World of Warcraft still holds a massive piece of my heart, but so does Final Fantasy, and you know what? 14 is similar enough to WoW to be familiar and comfortable, but different enough to feel fresh and unique! I enjoy being able to move the basic UI around and resize it without having to download an addon to do so. I like the fact there’s throwbacks to previous Final Fantasy games (Moogles! Summoner horns! Chocobos!). I like the job system! Arcanist is the closest I could find to Warlock. They have pets, those pets can tank, they have DoTs! And she hates it when you disturb her reading. I still have things to do with Lixiu. 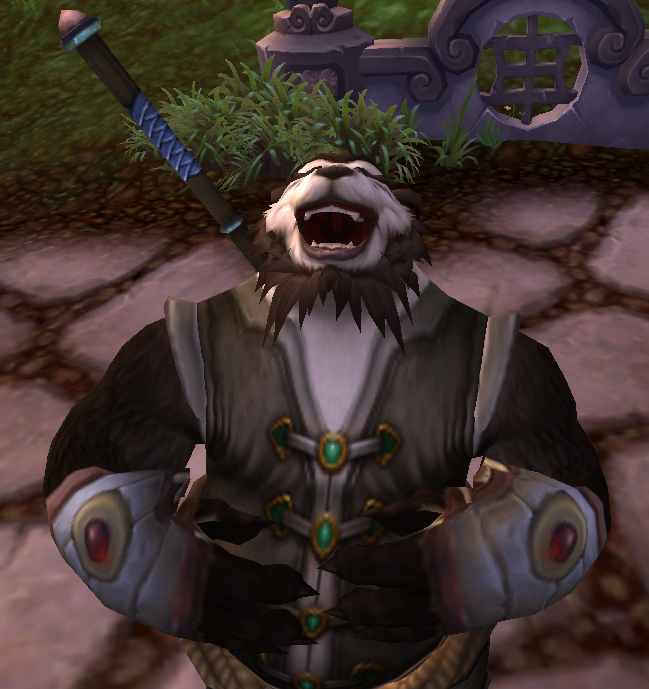 Cat people haven’t replaced my love of Pandaren, and I will play Warlords extensively, but it’s nice for a change of pace to play something else! This entry was posted in Non-WoW and tagged A Realm Reborn, Arcanist, FF14, Warcraft, Warlords, WoW. Before the next expansion hits, I’d imagine most people have a checklist of things they want to get done. Let’s have a look at what my plans are! In Draenor, I’m gonna focus only on having 3 characters at max level that I regularly play. Raenah, my warlock, is currently sitting at an item level of 564. She has the legendary cloak, and I have not one but TWO Garrosh heirloom staves. 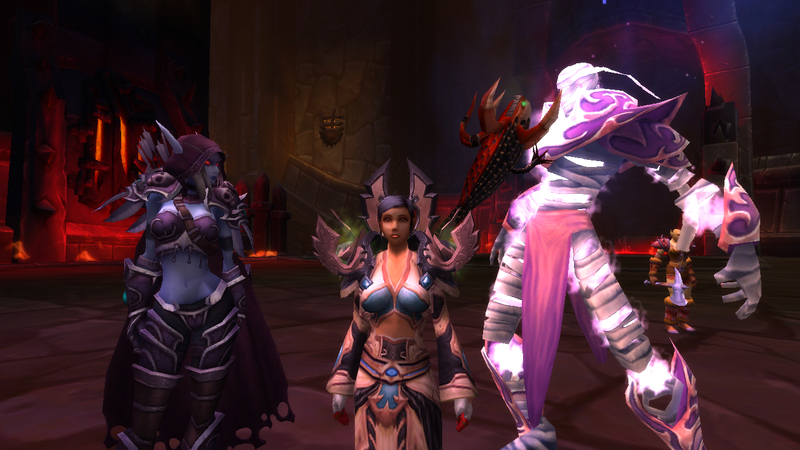 They’re currently sitting on my mage and my priest at the moment, but when the time comes, one of them will be Raenah’s. Raenah doesn’t need much work doing, to be honest. 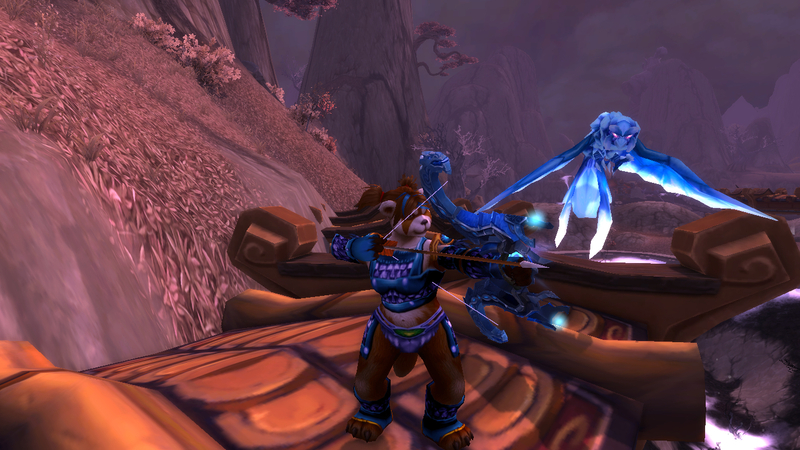 She’s fully flex-or-above geared, and has it easy in the earlier stages of Draenor. 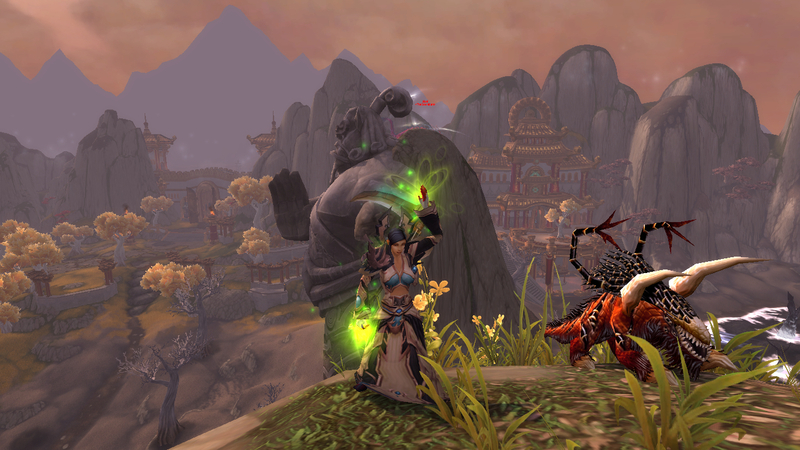 Shamwhoa is my shaman, and she’s sitting pretty at 558. You can’t see in that picture, but she has the Garrosh heirloom mace AND shield, so she’s all set too. Not only does she have the legendary cloak, she has the awesome Dark Shaman transmogrification armor, so she’s pretty much good to go as well. Lixiu is the current work-in-progress. She’s at 538, I have no Garrosh bow for her, and she’s still collecting those blasted sigils. Better get crack-a-lackin’ with her! I also want to get characters with professions to level 100 as well, and max out those professions as soon as possible. Who among my characters has maxed professions? So looking at this, as well as having Raenah, Shamwhoa and Lixiu leveled to 100, I can add Patrianna (the paladin), Vanlew (the rogue) and Lunchi (the monk) to that list. Lunchi is the main work in progress here; she’s the only character here I need to level a profession on. Sadly, that profession is leatherworking. So having purchased an Ethereal Soul-Trader recently (seen here posing with Raenah and Sylvanas), I’m pretty much clean out of gold. The coming weeks will hopefully see me build that back up to a repectable level, though I know we’ll be getting a shed-load of gold from levelling in Draenor, as well as dungeons, seeing as Justice and Valor are going away. So money making is a low priority, but still of some importance. A few dungeons are changing in Warlords. There may well be things you wanna get from there, such as transmoggables, hunter pets, and the like. I’d advise doing it now, as it may well transpire you won’t be able to get them soon. Ditto Challenge Mode stuff. You want the transmogrification armor? The mounts? I’d recommend you get on that. For me, the challenge mode stuff is not really a priority, but the dungeon stuff is. I’ll have a look at loot tables in there, and see if there’s stuff I want to collect. Also falling under this banner is the Ahead of the Curve Garrosh Hellscream achievement, as it has a mount tied to it. You can’t get this pretty wolf in 6.0, so I’d see about getting it asap if that bothers you! 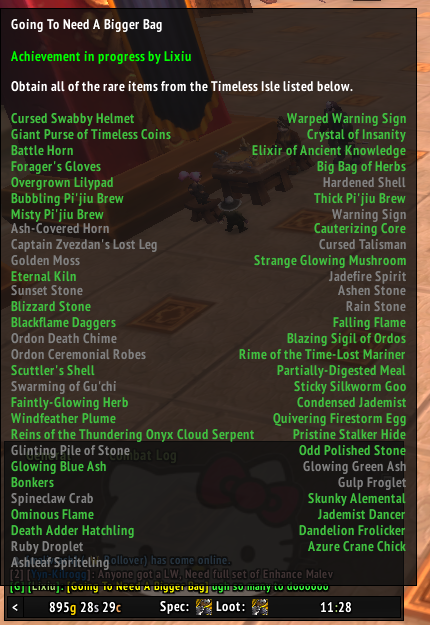 These aren’t things that go away, but it’d be nice to wrap up Pandaria stuff BEFORE moving onto Draenor. Raenah’s been hunting that Ironfur Steelhorn for months now! It spawns when I’m logged into different characters, frustratingly. I doubt these are difficult to do in Flex mode. They’ll probably be easier in 6.0, but why not get them done now? I’m still stuck at Major Payne. This is… This is unacceptable! 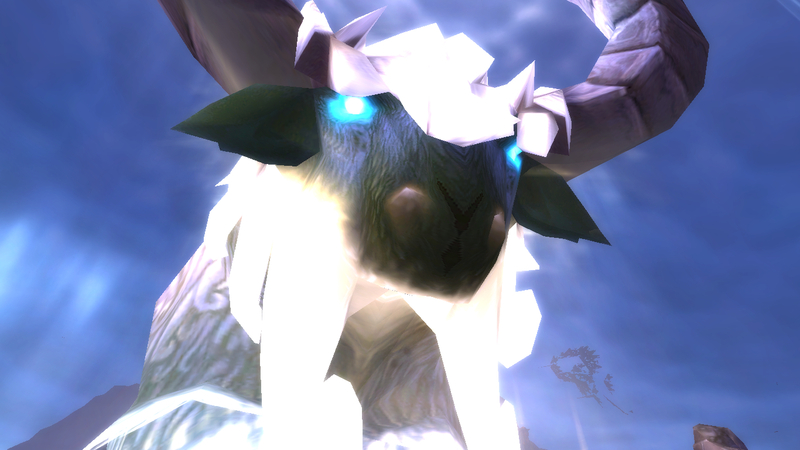 Must get the pets from Throne of Thunder while I’m at it. And the ones from Siege. I have literally none of them yet. Must get the mini celestials! Okay okay, just the mini Niuzao. Final Fantasy 14 is apparently introducing the Triple Triad card game from Final Fantasy 8. 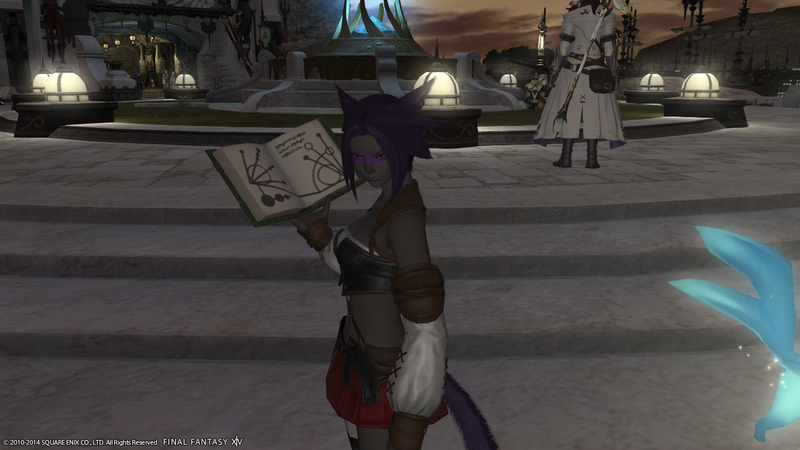 I may start playing FF14 because of this. No seriously, Triple Triad is awesome. Beta patch notes are up, and I have modified the Warlock Changes page as necessary. 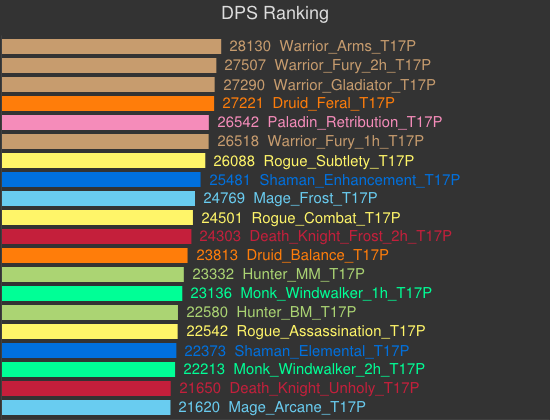 For the record, now that we have a neutered Gateway and healthstones that are terrible, we went from having SOME utility outside of great DPS, to barely any. Great. You know what’ll cheer me up after that horrifying revelation? This entry was posted in World of Warcraft and tagged Draenor, things to do, Warcraft, Warlords, WoW. So the Emerald Drake was revealed to be the 250 mount reward, but now that’s being changed to a Felfire Hawk, and the Emerald Drake is a reward for collecting a number of other dragons instead! Sandstone replaced with Purple Netherwing Drake. @WatcherDev has made quality of life improvements for soloing Spine. So let’s have a look at how we get these mounts. Azure Drake: Drops from Malygos in Eye of Eternity 10 man. Unsure of how to solo him? I have a guide for you right here! Black Drake: Sartharion in 10-man Obsidian Sanctum. Guide to soloing this is in the same guide as Malygos. Blazing Drake: Madness of Deathwing (normal or heroic). Those of you dreading soloing Spine, see the above tweet. Changes are being made! Blue Drake: Malygos in Eye of Eternity again. Greedy dragon. Bronze Drake: The Culling of Stratholme from the Infinite Corruptor. 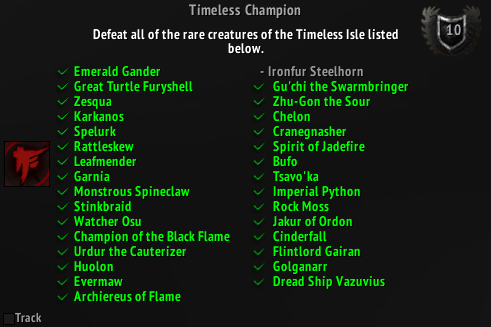 It’s the timed run that awards the achievement The Culling of Time and is trivial to solo at 90. Onyxian Drake: Onyxia. Guide here! Purple Netherwing Drake: Get Netherwing reputation to exalted, then complete the quest Malfas the Purple Nethweing Drake, or buy from Drake Dealer Hurlunk for a mere 200 gold. Red Drake: Exalted with Wyrmrest Accord. Buy from Cielstrasza (atop Wyrmrest Temple in Dragonblight) for 2000 gold. Twilight Drake: Sartharion again. 3 drakes up again. This time? 25 man. Still trivial at 90! So what are you waiting for? Go out and collect those drakes! This entry was posted in World of Warcraft and tagged achievement, emerald drake, Warcraft, Warlords, World, WoW. This brings about some Demonology changes, some tooltip wording fixes that I won’t focus on, and not much else. Healthstones now restore 15% of health, down from 20%. Soulburn: Haunt‘s damage increasing buff is now 20% on all targets, up from 15% on the one. So as long as you have SB:H on one target, all enemies you DoT will take more damage. Haunt‘s base damage is now 375% of your spell power, up from 295.5%. 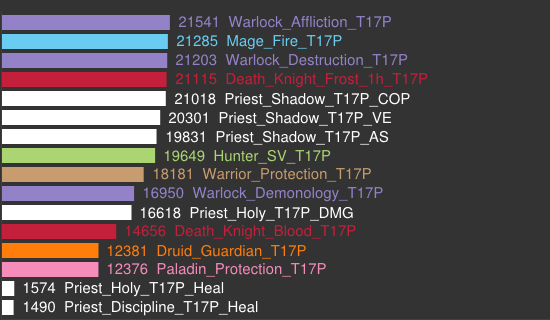 Drain Soul‘s basic damage is now 4+76% of your Spellpower, up from 4+60% of SP. Drain Life‘s damage has been massively nerfed, causing 150.% of SP as damage over 6 seconds. It was 350.7% of SP! So Demonology’s mastery increases damage in caster form by 8%, and in Demon Form by 24%. This is still the case, however the Demon Form damage increases are not on all spells as before, but only on specific ones. These are the only spells that will benefit from the 24% damage bonus. Any other spell will only have an 8% bonus. Why? I can only think that it’s to make sure Cataclysm is balanced. For a spell that already hits like a truck (750% of spellpower! ), Metamorphosis was making it hit like several trucks and a mini cooper. One shotting people on the bridge in Ashran? Oh yes. By making it unaffected by Metamorphosis, it can stay at that strong level without requiring nerfing, which would hurt its effectiveness for the other specs. What’s confusing is that it also seems to be omitting Demonbolt from Demonology’s mastery. This is a Metamorphosis-only spell, and it doesn’t benefit from Metamorphosis? A 30 Demonic Fury cost (plus 30 DF per second) for Drain Life. To make the new level 15 talent (Searing Flames) worthwhile to use at level, a few spells are being learnt earlier than before. On live, you currently gain Burning Embers, your secondary resource, at level 42. In Warlords, you will get them at level 10, when you pick a specialization! Chaos Bolt is also going to be learnt at level 10, instead of level 42. Imagine the low level PVP! Chaos Bolt, boom. Ember Tap, the spell Searing Flames modifies, is being learnt at level 15 in Warlords, instead of 42 as on live. Only one thing updated here. Seed of Corruption and Soulburn: Seed of Corruption can no longer both apply to the same target. This entry was posted in Warlocks and tagged beta, Draenor, Patch Notes, Warcraft, Warlock, Warlords, WoW.